When the BlackBerry Priv arrived last year, one of the built-in applications was the BlackBerry Hub. It merged your emails, notifications from supported social networks, and calendars all in one place. 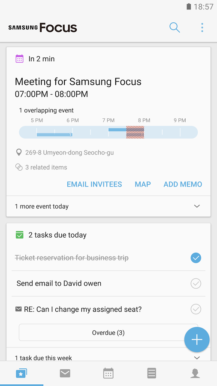 It was a pretty good idea, and Samsung has just released a similar application, Samsung Focus. Focus is much more oriented towards business users than the average Joe the BlackBerry Hub aims to please. 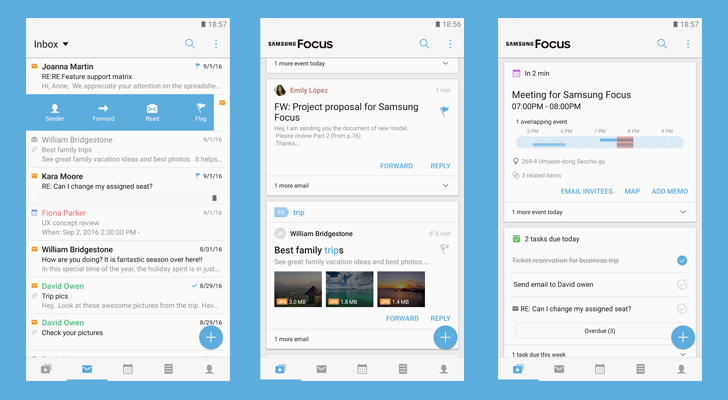 Samsung Focus can sync your emails, contacts and calendars, memos, tasks, and more. Most of these features are only compatible with Exchange servers, but the email feature does support IMAP and POP3 email as well. This means that essentially every email service is compatible. 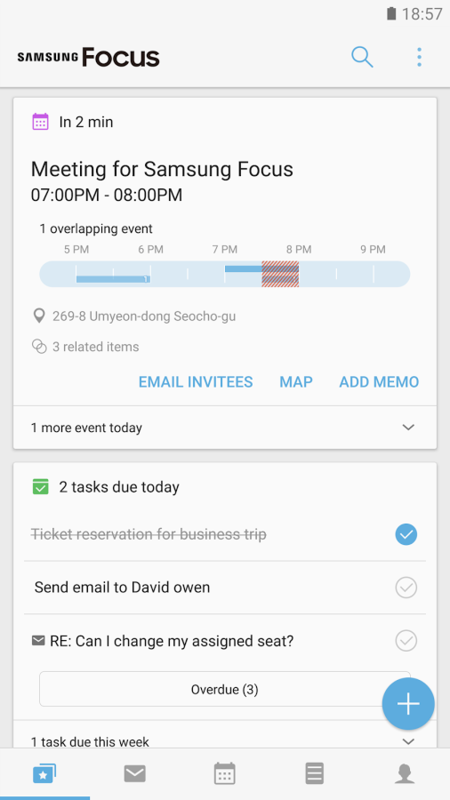 It bears resemblance to Google Now. The application lets you join conference calls with supported services, and offers a unified search for all the data in the app. Samsung also states that the app only connects to the synced servers and not to any Samsung-owned servers, a must-have for corporate users. The big catch is that it only supports Samsung devices running Android 6.0 or higher. When I attempted to install the below APK on my Nexus 5X, it refused to launch. The APK is signed by Samsung. The cryptographic signature guarantees that the file is safe to install and was not tampered with in any way.